In a new nine-page position paper, the Bank of Namibia said bitcoin and its progeny pose only a “minimal” threat to the central bank’s monetary policymaking role. It also made familiar points about the risks of money laundering from cryptocurrencies, the alleged shortcomings of a currency without government or commodity backing, and the potential benefits the financial system could achieve through its underlying distributed ledger technology. The paper heavily cites previous research by the International Monetary Fund and the Financial Action Task Force, a global intergovernmental anti-money-laundering organization. In other statements, it further elaborated on its interpretation of relevant domestic law. For example, Namibia’s Exchange Control Act of 1966 “does not make provision for the establishment of virtual currency exchanges or bureaus in Namibia,” the central bank said. Even exchanging bitcoin for a cup of coffee is forbidden, apparently. “Virtual currencies cannot be used to pay for goods and services in Namibia,” the central bank said. “For example, a local shop is not allowed to price or accept virtual currencies in exchange for goods and services. Users of virtual currencies should therefore exercise caution when dealing in this type of currencies or when comparing it to e-money,” meaning fiat currency in digital form. 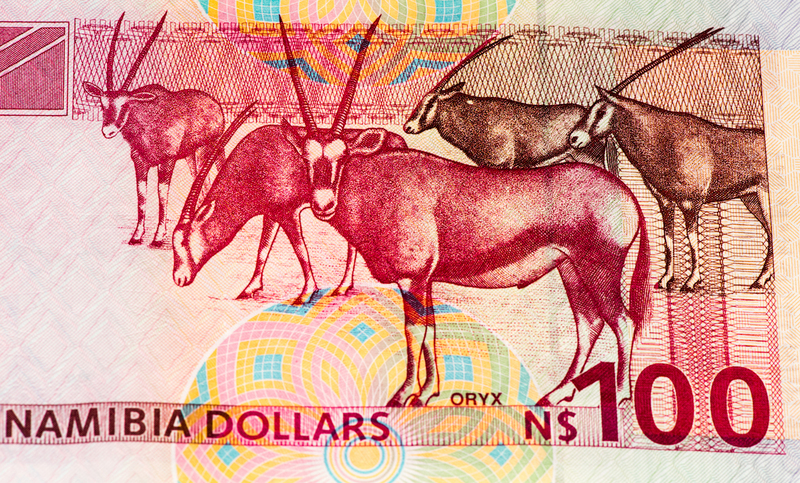 Namibian currency image via Shutterstock.